I went for the shade Misty Rock, a bronze-taupe hybrid that looks almost purple in some lights. It's such a unique shade, nothing like I have seen before. The colour seems to look slightly different in different lights but I love that about it. It has a gorgeous sparkle to it which is something all the Ombre Blackstars seem to have in common. Now if you've ever swatched these eyeshadow crayons before, you'll know they are ridiculously long-wearing. Seriously, you can run your hand over a swatch as much as you want. It won't be going anywhere. It's the exact same situation on the lids, even without a primer. Impressive stuff! One particularly hot day I noticed this did begin to crease a bit but I'll blame the uncharacteristically hot Winter weather for that. To really prolong the wear I sometimes throw a paint pot underneath and that also seems to add to the longer wear time. Around the five hour mark you may notice some colour fading but hey, it's easy enough to draw back on and use your finger to blend it out. Misty Rock, let's be best friends. Bronze Moon, I'm coming for you when I'm next feeling naughty spendy. *Have you tried the By Terry Ombre Blackstars before? This sounds awesome! 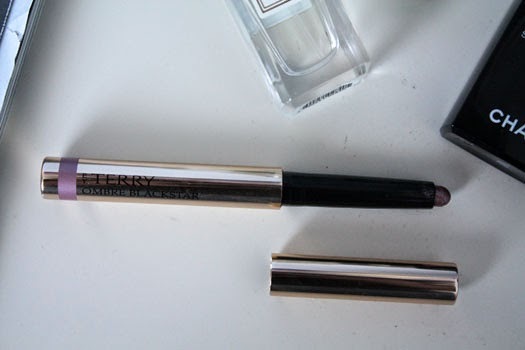 I've never tried an eye shadow crayon before and I want to give this a go! I agree, anything Anna recommends is usually amazing! You'll have to check them out in Space NK Alice. They're fab!! Totally agree, Anna is full of the best recommendations out.